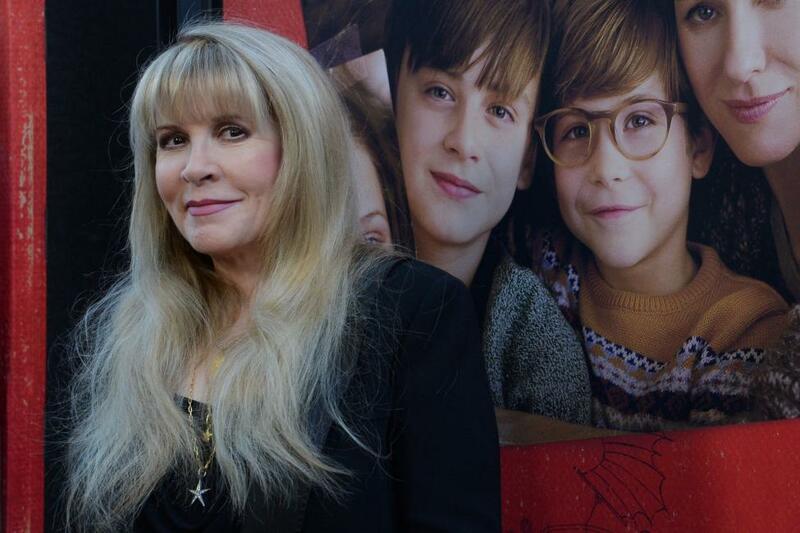 American Horror Story: Apocalypse will feature Stevie Nicks and Lily Rabe. The 70-year-old Fleetwood Mac singer and 36-year-old actress will appear in Season 8 of the FX show, series creator Ryan Murphy confirmed in a tweet Tuesday. Taissa Farmiga, Gabourey Sidibe and Frances Conroy have also joined the cast of Apocalypse. Sarah Paulson, Kathy Bates, Evan Peters, Emma Roberts and Jessica Lange were previously announced as stars. [post_ads]"Guess who's coming back for AHS APOCALYPSE? Taissa Farmiga, Gabourey Sidibe, Lily Rabe, Frances Conroy and.... Stevie Nicks. SO thrilled the family is together again! #AHSApocalypse," Murphy wrote. Apocalypse will be a crossover between Season 1, Murder House, and Season 3, Coven. Nicks previously appeared in Coven, with Rabe as Nora in Murder House and Misty in Coven, Farmiga as Violet in Murder House and Zoe in Coven, Sidibe as Queenie in Coven and Conroy as Moira in Murder House and Myrtle in Coven. "I think it's about that time to dust off my witch hat..." Farmiga tweeted Tuesday. "I guess there's something to dance about. #AHSApocaylpse," Sidibe wrote. American Horror Story: Apocalypse will premiere Sept. 12. The series was renewed through Season 10 this week.